This will be the second time that these local rivals meet this week with the home team triumphing by 4 points on Monday night in the Turkish league. 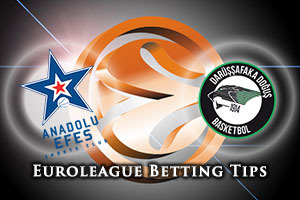 The hosts have a 1-1 record coming into this one in the Euroleague but Dogus have a 0-2 record. They won’t want to lose to their local rivals twice in one week so this could be a dramatic affair. Of course, Anadolu know that they can enjoy the sensation of beating their local rivals twice in one week so there is every incentive for the hosts to power on in this game. The Monday night victory was achieved with strong showings by Dario Saric and Cedi Osman who combined for a total of 31 points. These teams know each other very well, so there may not be a lot of scope for surprising the opposition but equally, both teams will know the points of weakness in their opponents. Bryant Dunston and Alex Tyus should provide the hosts with added strength and you can see Anadolu will be confident heading into this game. Can Dogus get revenge on Friday? The away team will be desperate to gain revenge for the Monday night loss and the quick turnaround may help in this. When you lose a game, you want to get it out of your system as quickly as possible, and having a chance to play the team that defeated you will be a great way to bounce back. Scottie Wilbekin and Furkan Aledmir both grabbed 14 points each in the loss and there will be Dogus fans hoping that these players combine again on Friday night. Milko Bjelica and Luke Harangody have been big players for the away team so far this season and if they can perform well again on Friday, there could be revenge in the air. 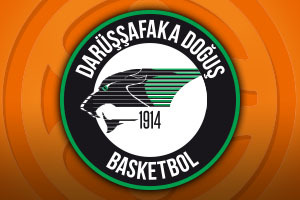 The hosts are once again the favourites but given the close run nature of the game on Monday, taking Darussafaka Dogus Istanbul at +8.5 at odds of 1.90 could be a good bet for Friday. In the Over/Under market, look to go UNDER 152.5 at odds of 1.90. Bet Now!